Can you keep a secret? How well do you really know the one you love? With her customary page-turning style and potent themes, this is Caroline Overington at her thought-provoking best. In 1999, Wall Street hot shot and eternal bachelor Lachlan ‘Colby’ Colbert meets small town girl Caitlin Hourigan, who has barely left the small patch of North Queensland where she grew up. Working on the chartered yacht Colby and his friends are sailing around the Whitsundays, the two people from extremely different worlds find themselves engaged in a holiday romance. Two years later Caitlin lands in New York City for the very first time. Staying with Colby for six weeks, they find themselves in a blissful cocoon of romance and domesticity. Caitlin’s return to Australia is imminent . . . until major tragedy strikes. The fragility and uncertainty of life brings the two together, and they wed. Thus begins a fairytale life: marriage; a gorgeous, large house in the suburbs; and a beautiful little boy. But beneath the surface, is everything how it really seems? How well do Caitlin and Colby really know each other? What secrets are they hiding from public view, each other, and most importantly, themselves? Caroline Overington is at her provocative best, encouraging us to look at ourselves and the people around us and ask how well do we know those around us? Caroline Overington is the Associate Editor of the iconic magazine, The Australian Women’s Weekly. Caroline has won the Walkley Award for Excellence in Journalism twice, and she’s a former winner of the Sir Keith Murdoch prize for journalism, and of the Blake Dawson prize. 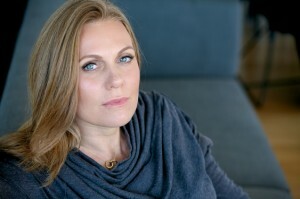 She is also the author of five other bestselling novels: Ghost Child, I Came To Say Goodbye, Matilda is Missing, Sisters of Mercy and No Place Like Home. Caroline Overington is coming to Parramatta Library on Tuesday, 2 September. She’ll be in conversation with us about her books, especially her latest title, Can you keep a secret?. Booking’s essential, 98065159. 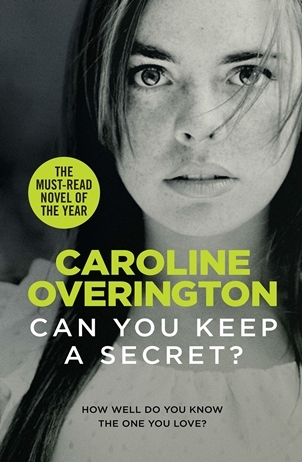 This entry was posted in Australian Authors, Author Visits, Fiction and tagged Author, Author Talk, books, Can you keep a secret, Caroline Overington, Parramatta City Library, reading, Writer by admin. Bookmark the permalink.